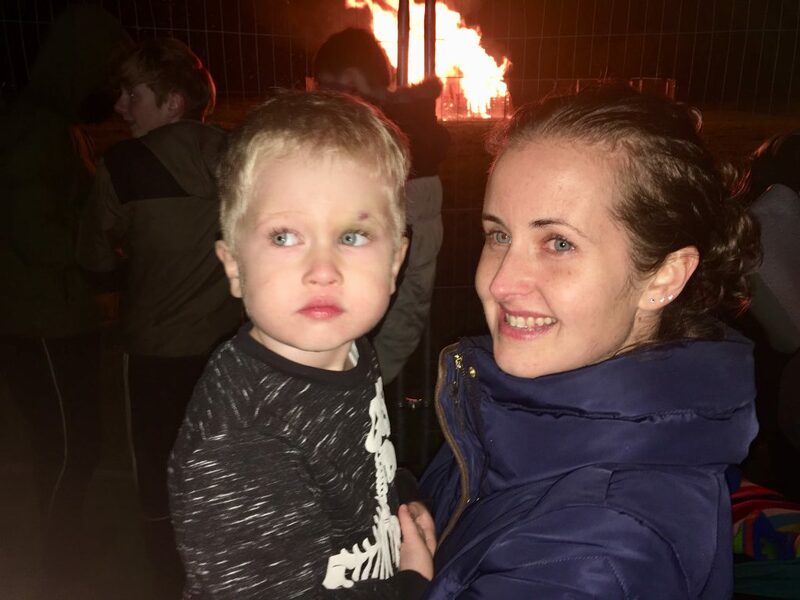 We were invited* to attend Last Drop Village‘s Halloween Spectacular in Bromley Cross, Bolton. 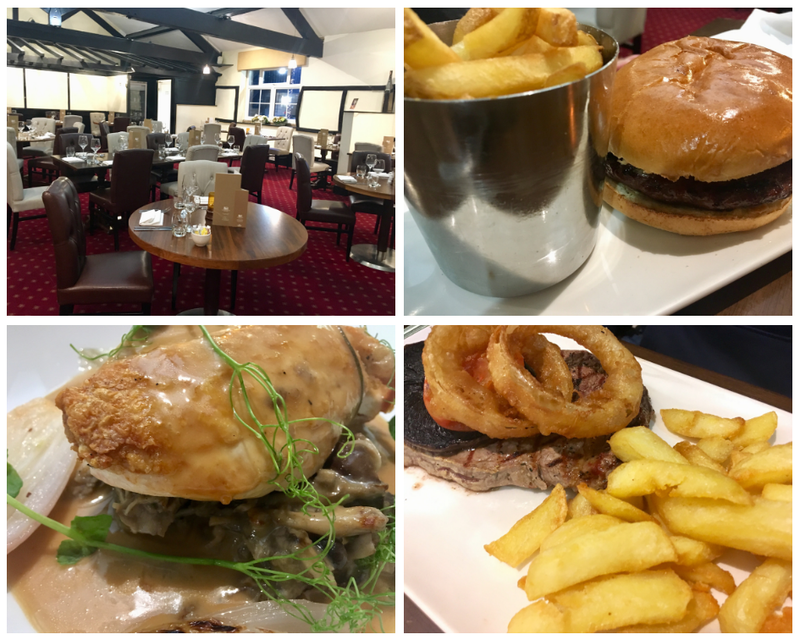 The hotel is a four-star hotel situated in an elevated position within 3 acres of grounds surveying stunning views over the West Pennine Moors. The hotel is very well sign posted once you exit the motorway. We checked in and grabbed our room key to see our wonderfully clean and spacious room. After travelling we were hungry so decided to get something to eat before we explored the Halloween spectacular. We ate in the courtyard restaurant and the service was very attentive. I had chicken supreme which I really enjoyed, it came served with braised shallots and roasted chestnut and mushroom veloute. D had a steak, which came with chunky chips, grill garnish, onion rings and pepper sauce. Lucas had burger and chips from the children’s menu. For desert we had a crème brûlée and After Eight sundae to share. 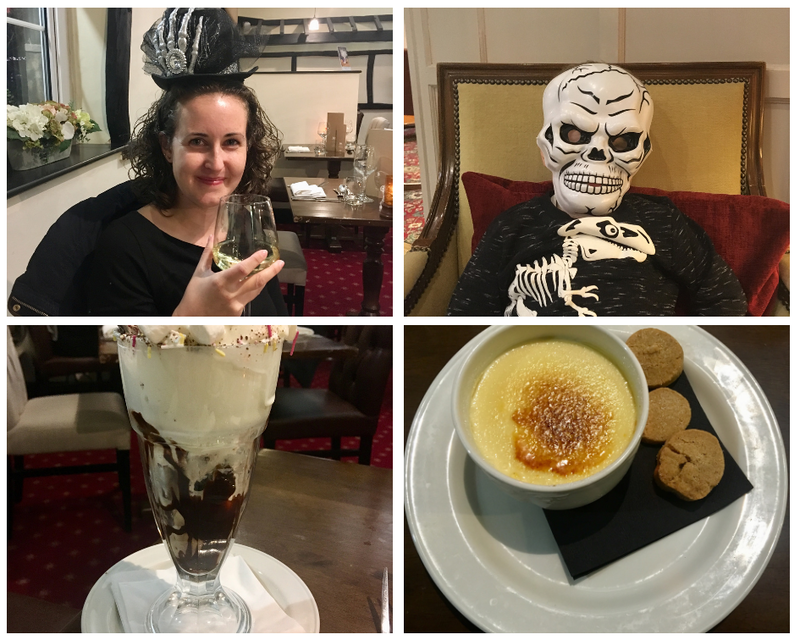 The crème brûlée was was cooked to perfection and the sundae consisted of chocolate brownie, chocolate mint ice cream and chocolate sauce, a true treat! Whilst we were having tea, Guy Fawkes was marched through the village and promptly placed on top of the bonfire. Once we had eaten, we decided to venture out and see the attractions were on offer. Last Drop Village has a selection of shops that were open while the spectacular was on. We had a mooch in the shops and looked around the food stalls before we headed to the spooky disco. The disco was really busy, and it was great to see children all dressed in their Halloween costumes. It was a bit busy for Lucas so we decided to go outside and sample the funfair rides. 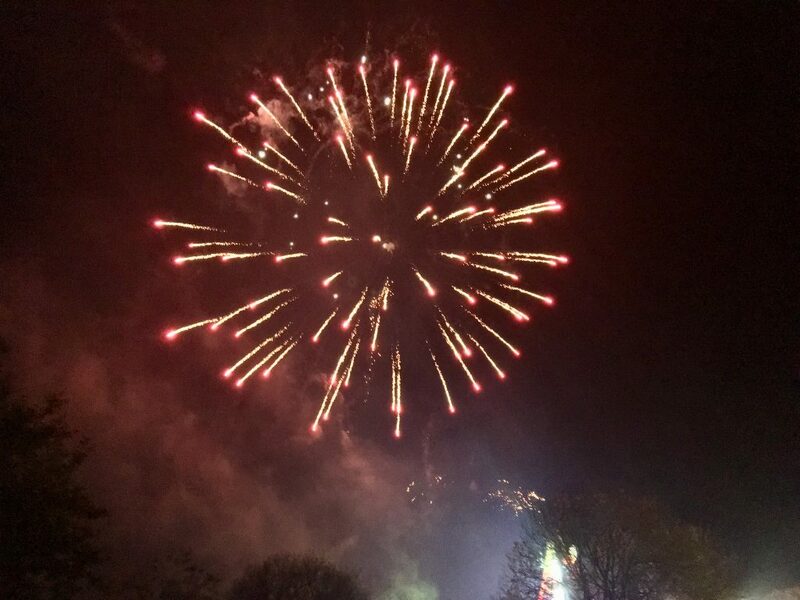 Once the bonfire was well a blaze there was a magnificent firework display that looked fantastic with the hotel and countryside backdrop. We stayed in an executive family room which included a double bed and two single beds. It had complementary tea, coffee and hot chocolate, toiletries, fluffy bathrobes and slippers, bottled Thirsty Planet mineral water and Lily O’Brien chocolates. One issue I have with staying in hotels sometimes is the noise from other rooms, which can’t be helped with people keeping different times. We had such a good night’s sleep here, the room was lovely and warm (they had excellent central heating systems, that we could alter in the room) and the bed was so comfy, even though the hotel was very busy we had a great undisturbed sleep. After a shower we headed down to breakfast, we wanted to get a good breakfast before we explored the leisure facilities. Breakfast was situated in the restaurant we ate in the evening before. There was a fantastic offering to cater for all palates and allergies, from cereals and pastries to a full English breakfast selection. This was all self service but there was a separate menu with various cook to order meals. After we had over indulged, we headed back to the room to grab our swimming gear and went down to the spa. 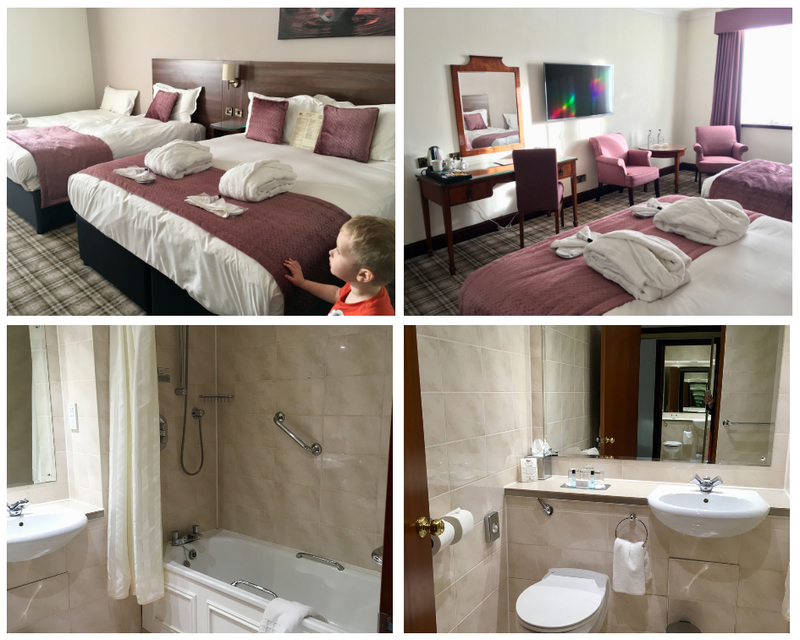 We got changed in the lovely spacious changing facilities, showered and enter the 18-metre-long pool and had great splash around, we took it in turns to explore the other amenities while the other kept Lucas entertained. 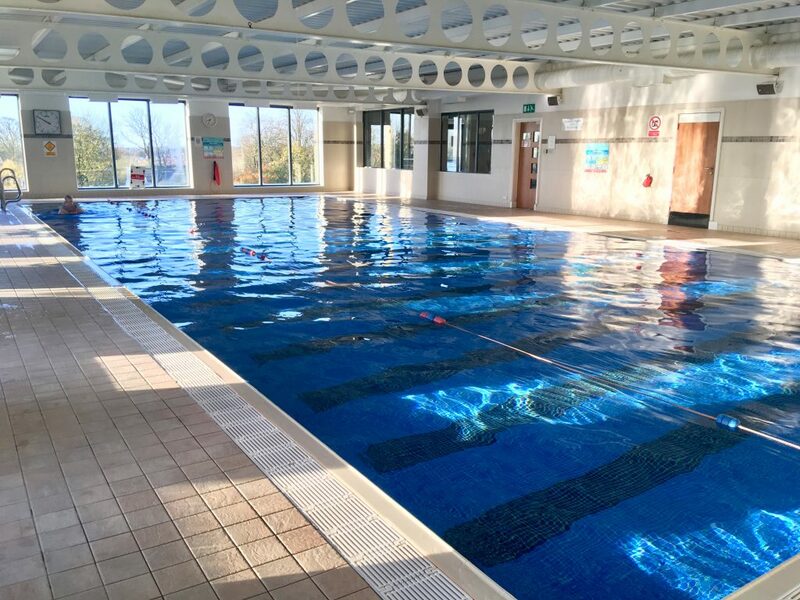 I headed to the Hydrotherapy pool and it was amazing, the pool opens up and you can see the wonderful views across the moors. We also sampled the rock sauna, steam room, bio sauna, aroma grotto and a halotherapy Room. You could literally spend all day pampering yourself, there is also a well stocked gym for those who feel energetic and treatment rooms if you really want to treat yourself to a pamper. 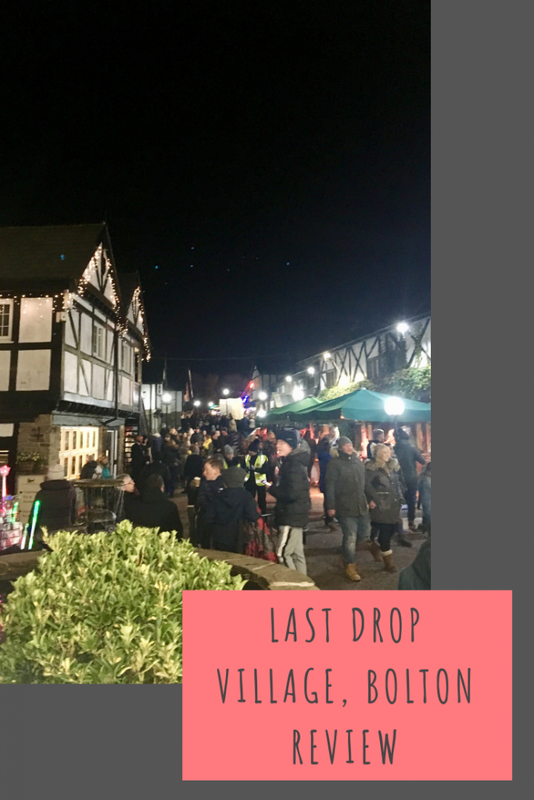 We really enjoyed our stay at Last Drop Village and would definitely come back. The room was so clean and comfy, the food was great and the facilities fantastic. There is free car parking and WiFi throughout the hotel. They offer a range of spa packages including day and overnight retreats as well as various seasonal events throughout the year. Wow, this looks amazing! The food looks ace, looks like a great place to stay during the winter period! It looks like a lovely family place to stay. That swimming pool, the water looks so blue and inviting for a dip! I can imagine all the fun you had. I like the look of the bathroom and the food looks yummy. Oh we LOVE it there but haven’t been for a few years. The spa is gorgeous! That sounds amazing! I always worry about noise from other rooms when we stay in hotels as you said, so it’s great when a room is nice and quiet and you get a good nights sleep. The beds look very comfy! What a lovely and spacious looking room, I am glad your had fun during your visit and like the sound of the spa area.